Welcome to Washington, DC, Maryland and Virginia, known collectively as the Capital Region, where state-of-the-art America meets its colonial past in scenically stunning surroundings. 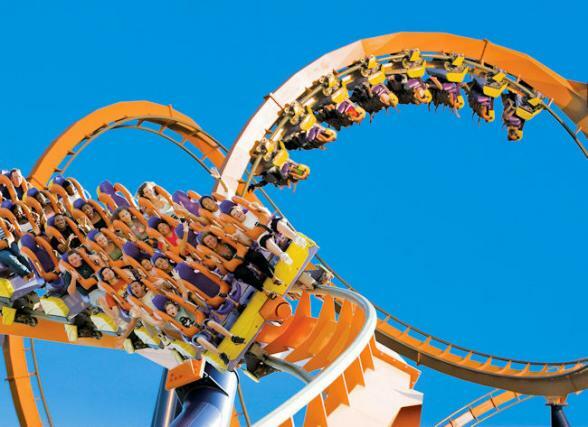 Children of all ages can enjoy the delights of a holiday to the Capital Region with exciting rides on offer in four theme parks and endless interactive fun in the cutting edge museums. 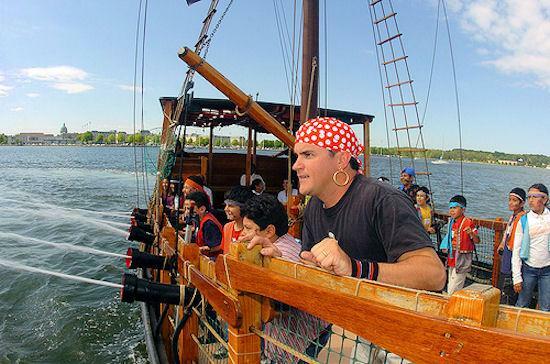 Sprinkle in golden sandy beaches, mountain retreats and a fascinating history - and all this makes a holiday to the Capital Region USA, a fun adventure for all the family. Funky, fun and family-friendly. 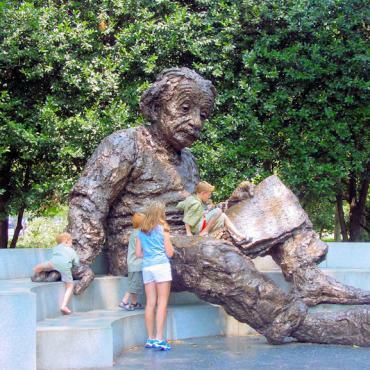 A stay in the Capital of the USA, Washington, DC, will tick all your family's holiday boxes. 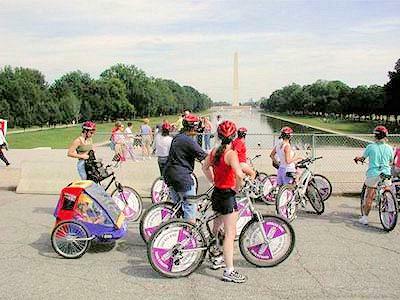 Explore the city by bike, trolley tour or on foot. 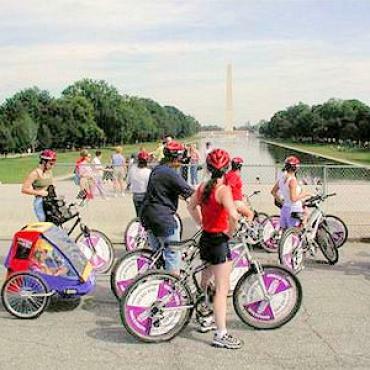 Kayak along the Potomac River or enjoy the view of the iconic monuments from a quirky Duck Tour. Go on a spy mission at the International Spy Museum or visit the Panda's at the Smithsonian National Zoo. 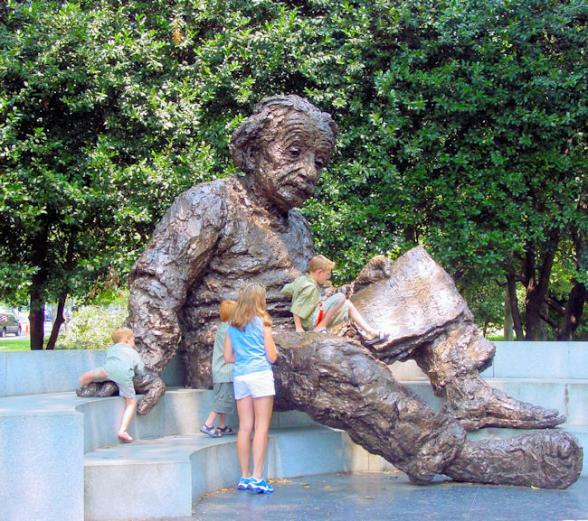 Have hands-on fun in the National Children's Museum in nearby Fort Washington, Maryland, or view the world's largest collection of spacecraft at the National Air and Space Museum. Pack a picnic and head across the river to Gravelly Point in Arlington, Virginia, to watch the planes over the Potomac as they land or take-off from Reagan National Airport. The planes are literally right over your head. 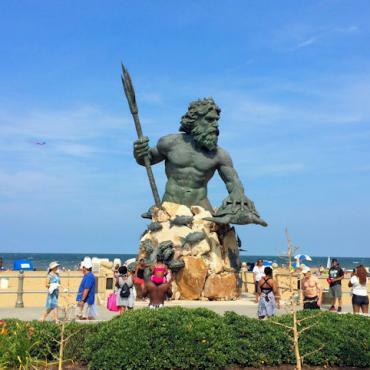 Just 15 minutes from Washington, DC is the thrilling Six Flags Theme Park and Hurricane Harbor, an exciting water park, that will have all the family entertained for hours. Baltimore is DC's friendly neighbour to the north, and home to the fabulous National Aquarium, offering aquatic fun for all the family with its daily dolphin presentations. Make sure you check out Port Discovery - an interactive children's museum designed by Walt Disney imagineers and take in the incredible views from the Top of the World Observation Deck. Be sure to set aside time to take a boat trip. 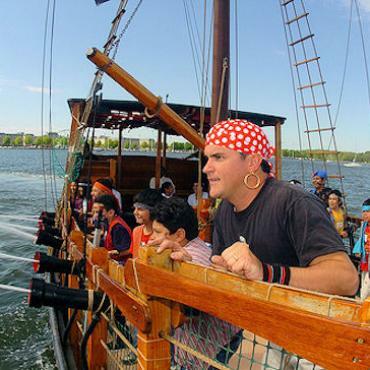 The young ones will love the fun Urban Pirate Family adventure which sails the waters of Inner Harbour, whilst parents are bound to love a leisurely lunch with fab views on Spirit Cruises. 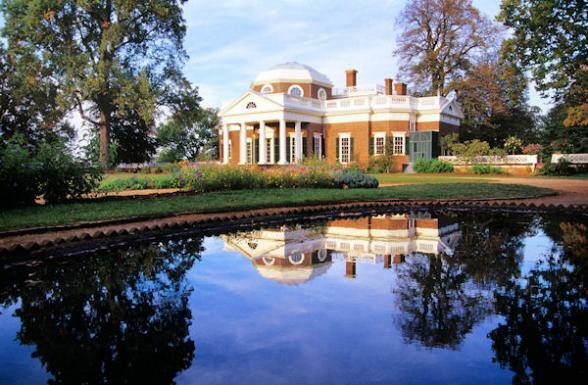 Leave charming Baltimore behind and travel to historic Williamsburg in Virginia. 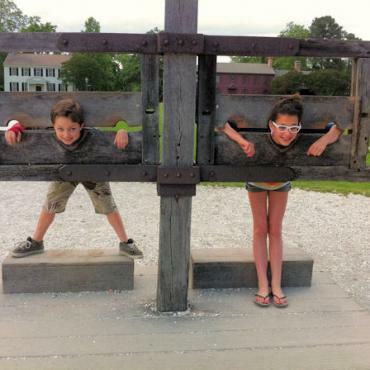 A must-do in Williamsburg is Colonial Williamsburg. 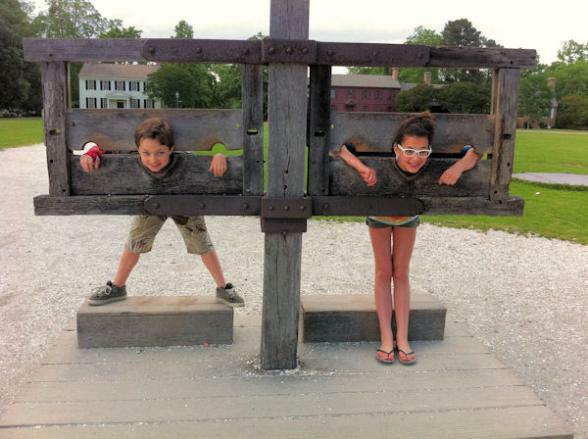 This 173 acre historic area will allow the whole family to experience what life was like there in the 18th century. Walk the same streets as Thomas Jefferson, George Washington and Patrick Henry. Here you can stroll round more than 500 restored and reconstructed buildings and this unparalleled view of 18th century life is brought alive by costumed townspeople interacting with visitors and going about their daily lives as they would have done at the time. 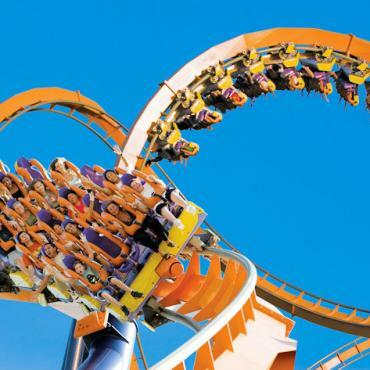 For a change of pace from historical Williamsburg, the nearby fast paced rides and attractions of Busch Gardens Williamsburg creates an ultimate family experience and probably one of the many highlights of the holiday for the younger members of the family. Also, head for Water Country USA and enjoy slippery slides galore in this fun-filled water park. 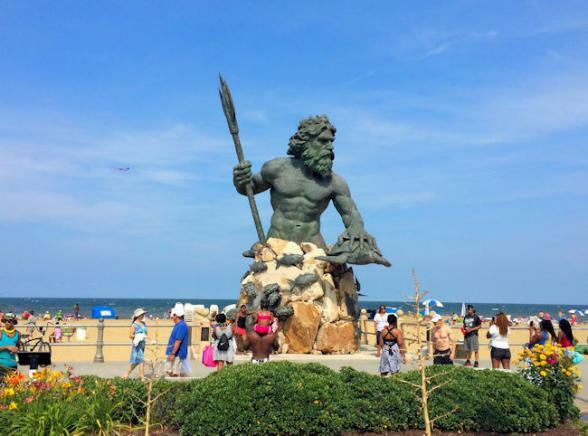 It's time to head for the sea and the world's longest pleasure beach, Virginia Beach. Try your hand at surfing or kayak Virginia's coastal waters on a search for dolphins. At the Virginia Aquarium and Marine Science Center visitors can view more than 300 species including stingrays in the Ray Touch Tank, splashing harbour seals, sharks and other large creatures. Hire a bike and pedal the miles of boardwalk that line the beach and be sure to leave time to visit the Back Bay National Wildlife Refuge where pristine areas offer a very special nature experience. And if you still have the energy there’s mini golf courses and Virginia’s most visited state park - First Landing State Park. The state park features sandy Chesapeake Bay beaches and 20 miles of trails ready for exploration. In the summer months the whole family can enjoy classic American car shows, beach concerts and festivals taking place along or near the beach. Today head for the mountains and travel through an area which Thomas Jefferson called the Eden of the United States. 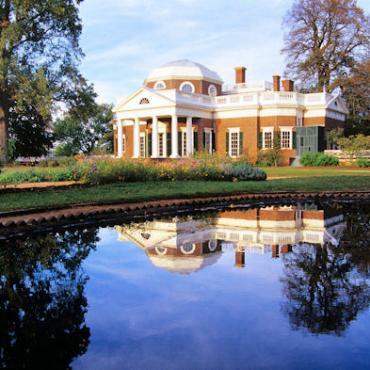 You can visit his home, Monticello, atop a mountain in Albemarle County. It is described as one of the country's foremost architectural masterpieces. Charlottesville is a charming college town with many shops, restaurants and tea rooms. The kids will be keen to visit the Virginia Discovery Museum with plenty of hands-on experiences for children up to the age of 13. And, if you are missing the water, Chris Green Lake Park offers swimming from a sandy beach along with canoeing. It's scenery all the way today as you follow the scenic byway and discover the majestic Blue Ridge and Appalachian mountains and the quiet solitude of Shenandoah National Park, one of America’s greatest natural wonders. Today, your route takes you through lush rolling countryside, past gracious horse farms to the splendour of the Skyline Drive. Travel this National Scenic Byway, stopping at overlooks for views of the valley below. With more than 500 miles of hiking trails, you can relax and explore the lush forests, streams, waterfalls and wildflowers. Amble along a beautiful bridle path on a guided horseback ride. Visit Luray Caverns, the largest caverns on the east coast, and one of America’s most popular. Families will love the the Shenandoah Valley Discovery Museum in historic Winchester with its interactive exhibits. 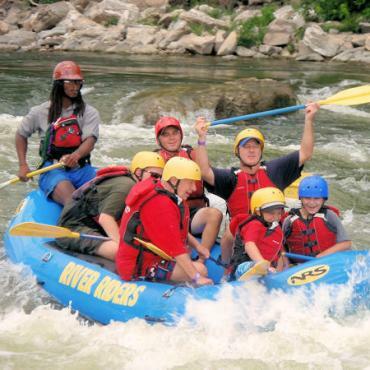 For the more adventurous families there’s chance to try some white water rafting, go on a Shenandoah National Park Ranger tour or try some hiking along the Appalachian Trail. This is mountain retreat time. Head back to the capital today for your early evening flight home. If time allows stop for lunch in pretty, historic Leesburg, Virginia. Explore the Victorian style mansions here or have a bit of retail therapy at Leesburg Corner Premium Outlet centre. This is the last day in the itinerary, however your adventure doesn't have to end here. Perhaps you may want to extend your stay and spend a few more days at any one of the locations above or maybe fly to Orlando for a few days in DisneyWorld or some of the other famous Orlando theme parks. 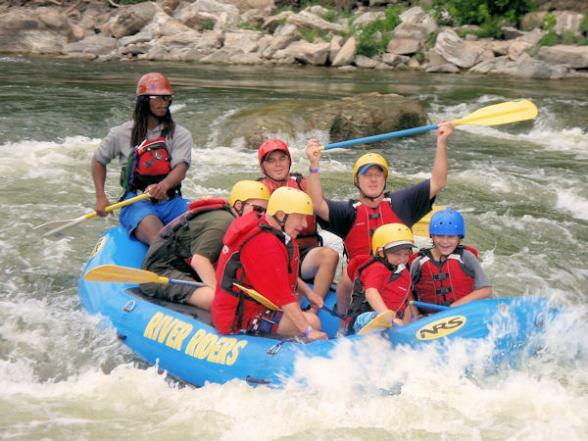 Call the USA travel specialists at Bon Voyage to discuss your perfect Family Fun in The Capital Region adventure.